A former fish and chip shop in Bury St Edmunds town centre is preparing for its official launch tomorrow with a brand new look offering traditional Turkish cuisine. 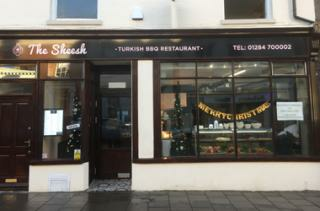 Abdullah Gokteke has opened The Sheesh, in Risbygate Street as he moves on the family enterprise that had been based there for ten years. The Borough Mayor, Councillor Julia Wakelam will officially open the restaurant on Thursday January 26 at a celebratory event for invited guests. The restaurant will be open both lunchtimes and evenings catering for up to 68 diners. The Sheesh is situated at 9 Risbygate Street and is open seven days a week. To make a booking phone 01284 700002. Good Sense Research is a leading consumer market research business.